Today I had a short wander along the section of the city walls between Monk Bar and Bootham Bar. Mainly to have a look at trees. 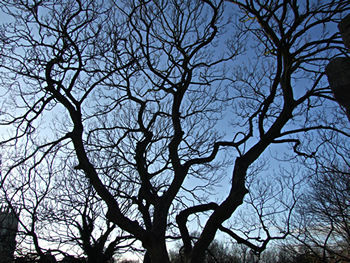 In particular some trees close to the walls, which are under threat of felling/mutilation. More on that story later, perhaps. I don’t feel very inspired at this time of the year. This could be because of ‘Seasonal Affective Disorder’, as it’s called (though I’m suspicious of the way a massive range of what are probably perfectly normal human responses have been labelled ‘disorders’). It could just be because it’s too cold to go wandering about taking photos and because there’s so few hours of daylight in which to do it. Anyway, Happy New Year. Particularly to everyone ’seasonally affected’. We’re supposed to have made New Year resolutions, aren’t we. I couldn’t really be bothered, but if I have to have one, it’s to make more effort to appreciate, understand and protect trees. Let me know if there’s anything else currently undervalued, of local significance, which you feel deserves more recognition and effort in 2012. 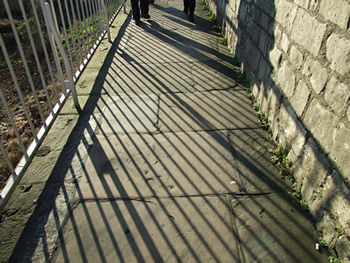 By Lisa @YorkStories • 2 January 2012 Miscellany To link to this page's proper location please use the > permalink.